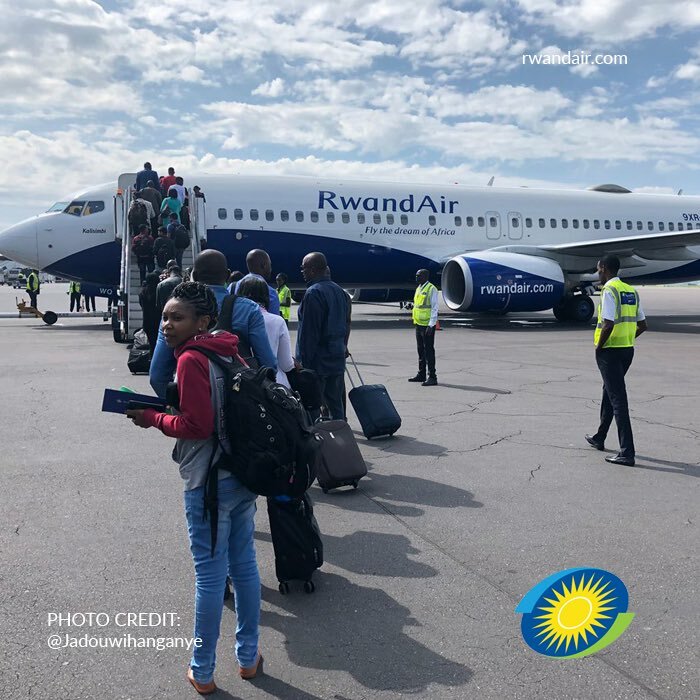 KIGALI/KINSHASHA – RwandAir has Wednesday, April 17, made its maiden commercial flight to Capital Kinshasa, DR Congo, with the local private sector welcoming the development. The Boeing 737-800NG plane left Kigali at exactly 10:00 AM. The airline will operate three weekly direct flights from Kigali International Airport to Kinshasa’s N’Djili International Airport. The latter serves the city of Kinshasa and is the largest of DR Congo’s four international airports. Next month, RwandAir plans to operate three additional night flights a week to Kinshasa with a CRJ-900NextGen offering 7 seats in business and 68 in economy class. The private sector in the two countries is upbeat noting that the new route will reduce costs and time previously taken up. Congolese businessman Dieu-Merci Munguiko Mahano, who was one of the passengers on the inaugural flight, said that the new route will reduce the time for travelers. Mahano who is the Director General of Monde d’Abeilles, a honey making enterprise, told The New Times that he was happy about the new route. “There is a very positive impact since this will allow travelers and especially the business community to travel with more assured security and less time which is good for business. Time is key in business. When you spend an entire day or more, it can be bad for business,” he said. Kinshasa – the third-largest urban area in Africa after Lagos and Cairo – now becomes the 23rd RwandAir destination, in Africa, extending RwandAir’s network across the globe to 27 destinations.